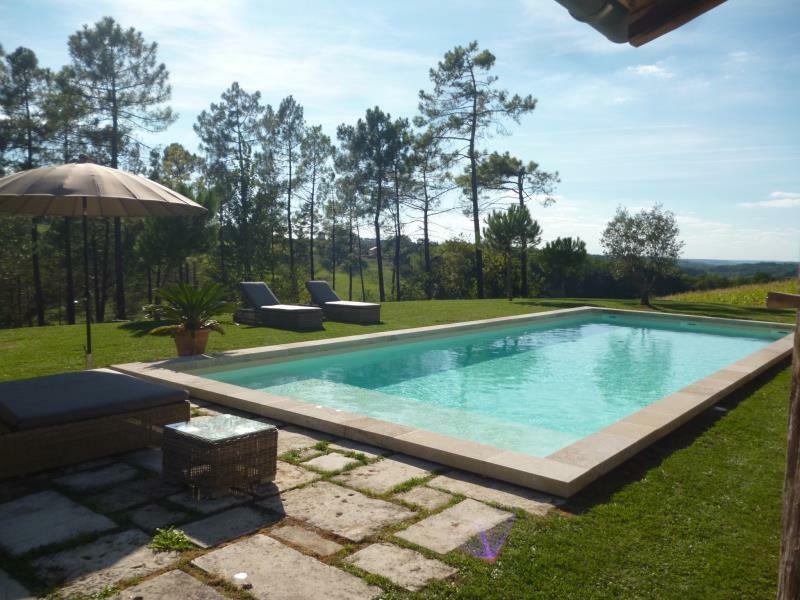 Superbly situated, this estate offers the ultimate French lifestyle amidst a breath-taking setting in the middle of the rolling hills of Gascony, only 20 minutes from the thriving town of Agen and 5 kilometres from a small village with basic shops.14 hectares offers pastures, woods, an orchard and meadow land ideal for horses or nature lovers and is a breeding place for rare birds and a refuge for wildlife. The property is set in the middle of its own land and as you approach it via a long, private, uphill drive the fantastic limestone buildings suddenly come into sight …… The main house offers approx. 300m² of living space, and a separate guest cottage offers another 70 m². Both could use some of your TLC to bring them up-to-date with your own taste. A huge multipurpose barn offers 285 m² which is enough for your hobbies or for a commercial enterprise. The new pool and tennis court will provide plenty of opportunities for sport.Follow your dream, step into Noah’s Ark and let nature seduce you!